Out of the box, Breadcrumb NavXT struggles to produce appropriate breadcrumb trails for BuddyPress resources. This plugin helps Breadcrumb NavXT produce more appropriate breadcrumb trails for BuddyPress resources. Download the plugin zip archive. In your WordPress Dashboard navigate to the plugin uploader (Plugins > Add New > Upload). Simply activate and you are good to go. Bug fix: Fixed compatibility issues with Breadcrumb NavXT 5.7+. Bug fix: Fixed issue that caused an error to be thrown on the front end group creation page. 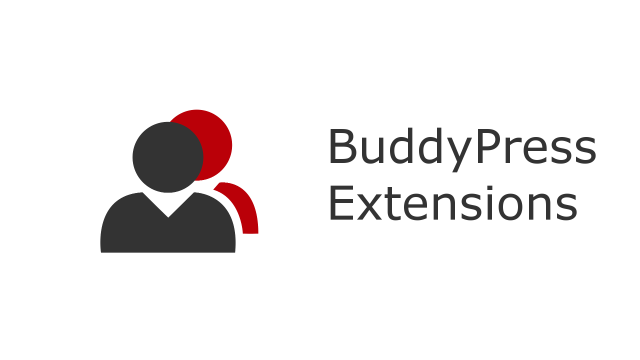 Bug fix: Fixed compatibility issues with BuddyPress 2.6+. Bug fix: Fixed issue where the BuddyPress Directory page’s hierarchy was not represented in the breadcrumb trail. Breadcrumb NavXT BuddyPress Extensions is released under the GNU GPL 2.0 license and comes with absolutely no warranty. By downloading Breadcrumb NavXT BuddyPress Extensions you agree to the terms of the GNU GPL 2.0 license. Premium extensions are subject to a yearly license for support and updates. View license terms.